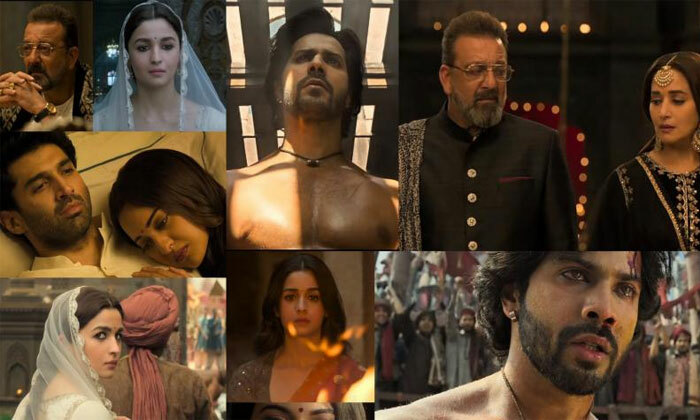 Set in the pre-Independence era, in Husnabad in undivided India, director Abhishek Verman’s “Kalank” is a saga of love, where all the six pivotal characters crave for love and yet, have to let go of it. 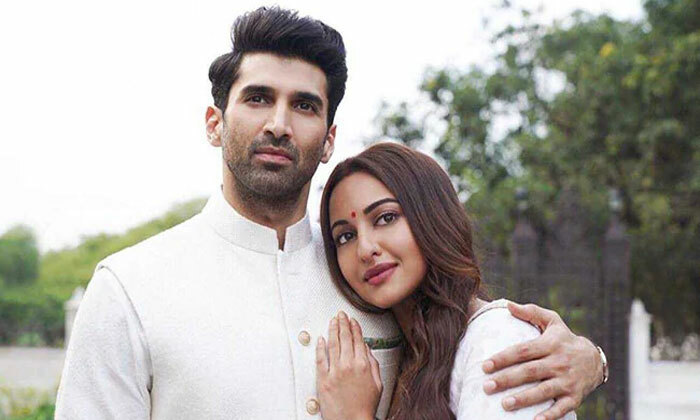 Roop (Alia Bhatt) agrees to marry Dev Chowdhary (Aditya Roy Kapur) whose wife, Satya (Sonakshi Sinha) is terminally ill and wants to see her husband settled before she dies. 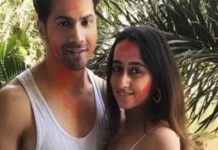 While in a loveless marriage which is a mere compromise, to ensure the well-being of her poor family, Roop falls in love with Ironsmith Zafar (Varun Dhawan), an illegitimate Muslim boy, whom she encounters daily in Hira Mandi, a notorious area, where she goes to learn music from a courtesan named Bahaar Begum (Madhuri Dixit). Initially, using Roop as a pawn for avenging his illegitimate status and destroying the Chowdhary family, Zafar too falls in love with Roop, albeit a bit too late. This tale of love and stigma seemed to have many possibilities, but alas the treatment and story takes a cliched and over dramatic path that mars the viewing experience. There is sufficient drama and oodles of emotion, but the scenes appear perfect in silos, almost insular with no connection with the next. The film, except for the climax, fails to engage and involve you. The pathos in the climax with each one losing their love is palpable, as is the pain of Partition. While the first half establishes the characters and their lives and how those are intertwined, it drags and there are abundant uncalled for scenes like the lengthy bull-fight with Zafar or Bahaar Begum’s dance. The director takes cinematic liberties aplenty, and they defy logic and reason. The situations are cliched and the scenes exaggerated. The second half ties in a few loose ends and makes a greater emotional impact, but the unnecessary length of the film wears you off. With ace-production values, the film is a visual treat with metaphorical edits and picture-perfect frames. The beauty of the era is astutely captured by cinematographer Binod Pradhan. The computer-generated images and effects in the bull-fight scene are of poor quality. The music is indeed a highlight of the film. From “Ghar more pardesia” to “Baqi sab first class hai” and Kriti Sanon’s item number “Saiyyan mera aira gaira nathukhaira” are all a treat to watch and are well-picturised. The musical score, both background and songs, is mellifluous and strikes the right chord. The performances are what elevate this narrative. The film is Alia Bhatt’s canvas and she delivers a stellar performance yet again and is convincing as Roop, the lovelorn girl trapped in a loveless marriage. She is vulnerable, yet strong and her demeanour, which is graceful and dignified, befits her character. She even steals the thunder from Madhuri Dixit in the dance sequence “Ghar more pardesia” and is elegant and graceful beyond words. 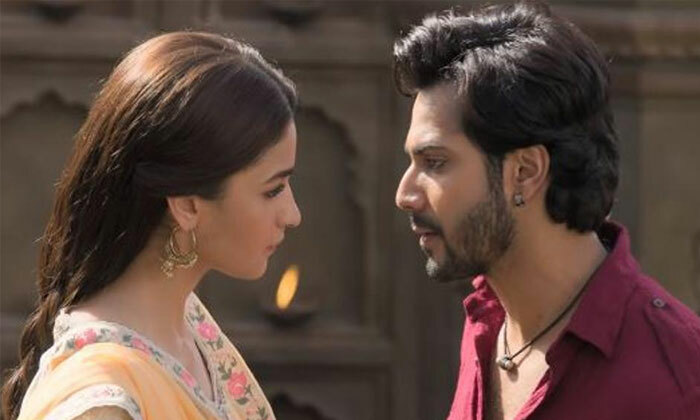 Varun Dhawan as Zafar is his usual filmy self with his customary swag, but performs well in the second half as the transition of his character is evident, from the embittered and angry man to someone who has been conquered by love. Aditya Roy Kapur is brilliant as Dev Chowdhary, the principled man and editor of a newspaper. He is restrained, yet adds a full throttle emotional flavour to his character, especially in the climax scene in the train. Sonakshi Sinha is wasted as Satya. Kunal Kemmu as Abdul, the radical and ruthless Muslim is impressive. Sanjay Dutt fails to leave an impact with his performance and seems perfunctory. Madhuri Dixit as Bahar Begum disappoints and seems out of place even in the dance performance which appears forced and uncalled for. Overall, love conquers all in this period drama.